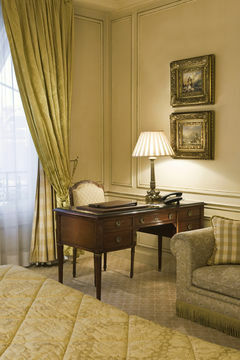 The hotel is located a few steps away from the famous Avenue de Montaigne and Faubourg Saint Honore, near the Champs Elysees. 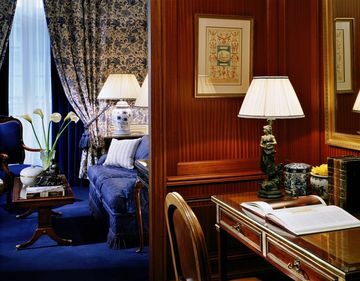 The area is very refined and attractive, offers many advantages such as fashionable and luxury boutiques, restaurants and public transport. 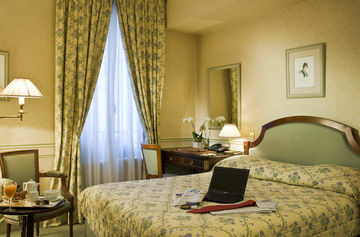 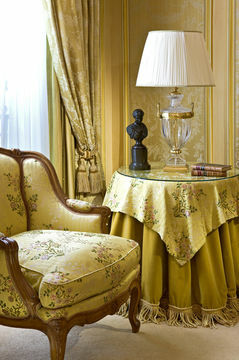 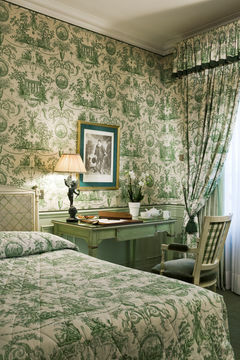 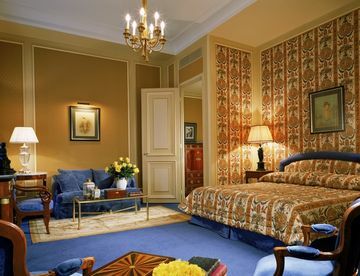 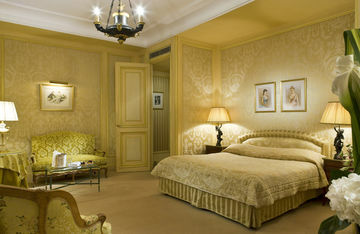 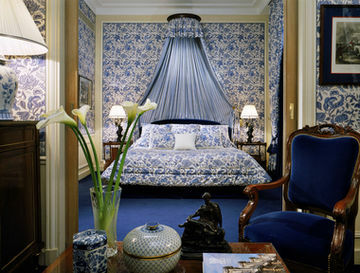 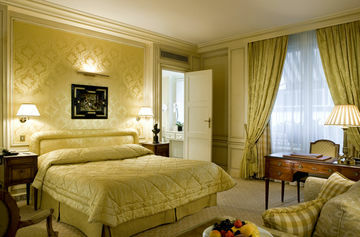 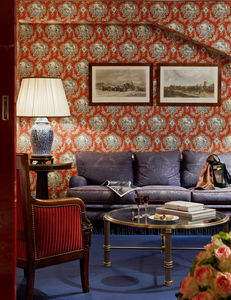 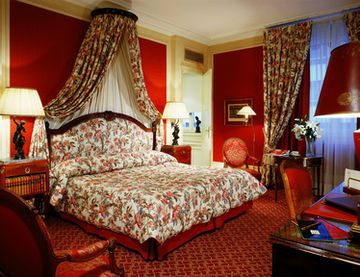 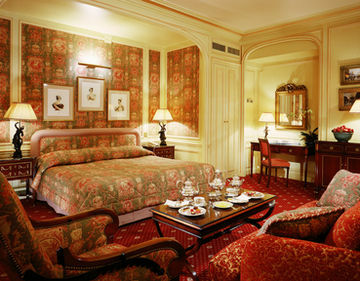 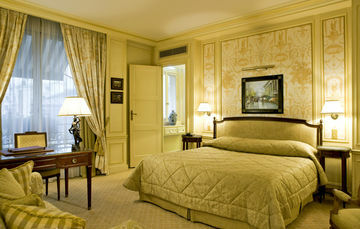 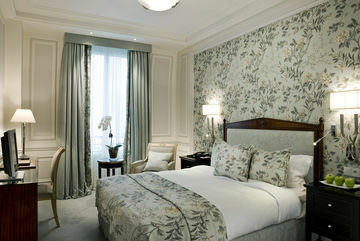 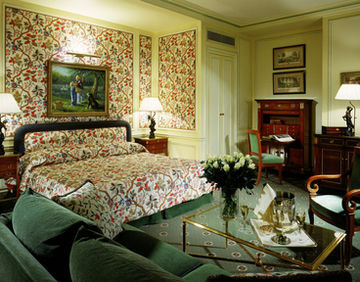 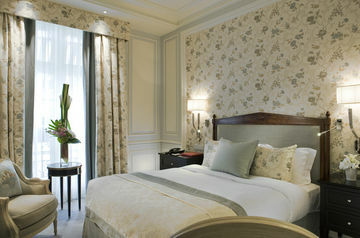 The rooms are spacious and in exceptional condition with high quality fabrics and fine linens. 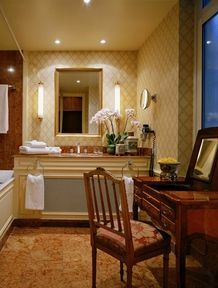 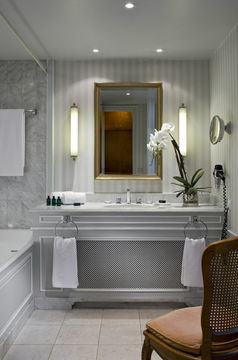 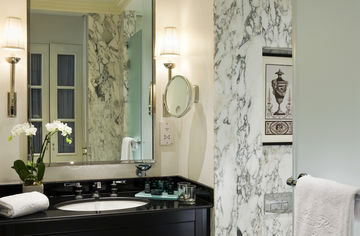 The bathroom is in Italian marble and with full facilities. 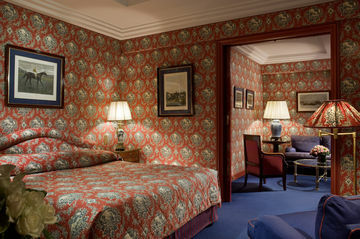 Each room has its own decoration, theme colour and motif. 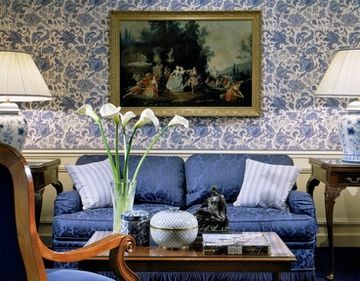 Most of the pieces of furniture are antiques collected by the owner himself; a chandelier from the Imperial period, 19th century chests, bone china, crystals and paintings by masters, for instance. 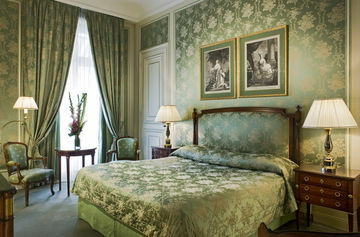 The hotel is classed as the historical monument. 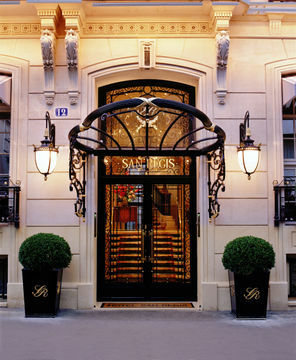 It s a neo-classic style, 7 storey building. 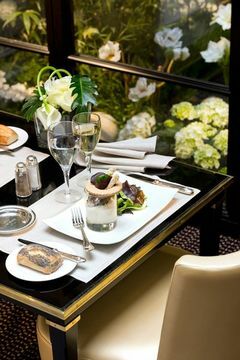 There is an outstanding restaurant where the breakfast, lunch and dinner are served with Limoges porcelain, silverware and crystal glasses. 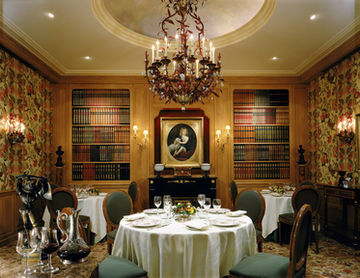 It is nestled in the decor of a private library, in a distinguished atmosphere. 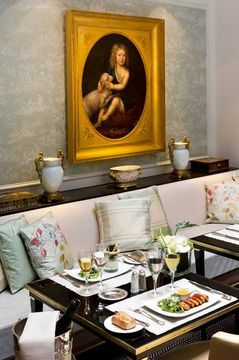 There is also an English Bar. 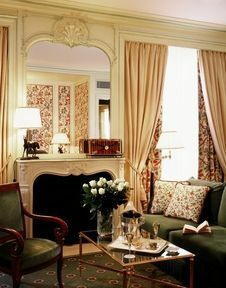 The lobby is small in size with a check-in desk and a luggage room. 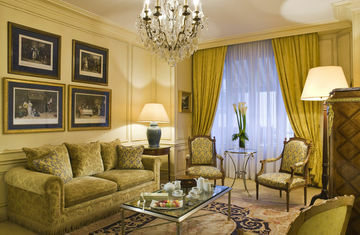 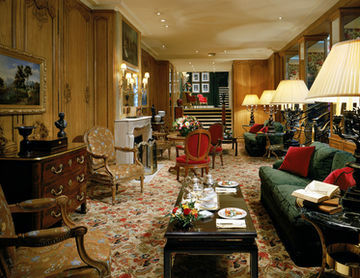 The marble stars and crystal chandeliers guide the guest to large lounge called "Boiseries". 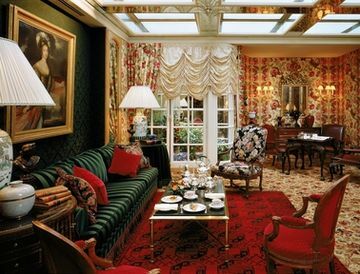 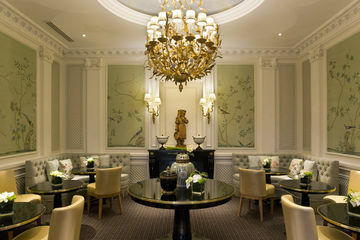 How about the afternoon tea in the cozy atmosphere among the flowers, oak panels and bronze sculptures? 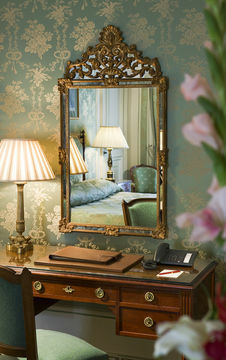 This is the place where charm meets history.